Stainless steel Hook screw 5 inch long. Designed to keep acoustic blanket 2-3 inches away from a wall for better sound absorption. Length – 5 inches (Threaded part – 2 inches). 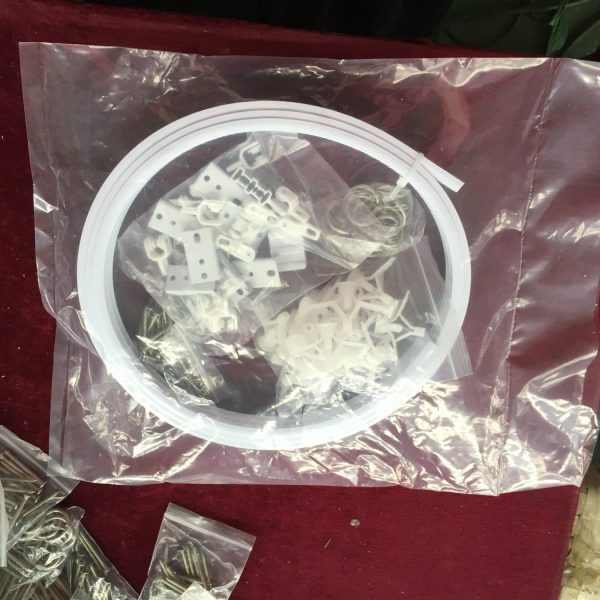 This screw hooks was designed to hang acoustic blankets on the walls. Use of this screw books to hang the acoustic blankets creates an air gap between sound blankets and the wall. ( you need that gap for better acoustics and sound absorption). Use of these hooks facilitates acoustic room treatment by hanging blankets directly on the wall! It would work perfectly for vaulted ceilings as well ( make sure to find the overhead beam that can support the weight of the blankets). This stainless steel hook will keep the blankets at 2.5 – 3 inches away from the wall for better sound absorption. Stainless steel (#201) will not rust and will not stain the blanket even if it gets wet or placed in damp environment. The specially engineered thread will reliably screw into a wood or concrete walls or ceiling for strong support. The hook is bent in a way that it can securely support the blanket if you hang it off the ceiling or on the wall. Blanket will not slip and will not fall. NOTE: You need a 1/4 inch drill bit to drill a hole before installing the screw hook. And lastly for our customer the hook screw is priced about 30% less than comparable quality screw-hooks in your local hardware store. 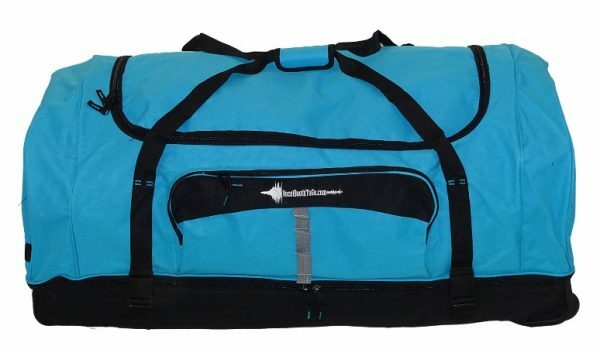 Roadworthy Carrying Bag for your Mobile Vocal Booth and all its parts! Double section design for metal frame and Absorption Panels. additional pockets for misc items. Hard bottom for better load support. Extendable Handle. 4 wheels for smooth ride. Does not exceed airport oversized luggage restrictions. Professional FET Condenser Microphone VBM-90S is a cardioid studio microphone with elegant design and clean sound. This mic presents a very clean sound with good low frequencies and a crisp high end. When tested , against higher priced microphones, the internal noise of this mic was lower than the FET-201($800 mic) and comparable to the Sennheiser 416 ($1000). When playing recorded silence, internal noise is nearly inaudible. This USB pen is a convenient tool for Voice Over actors, Musicians and any creative person to create and keep the digital files place in one practical set. 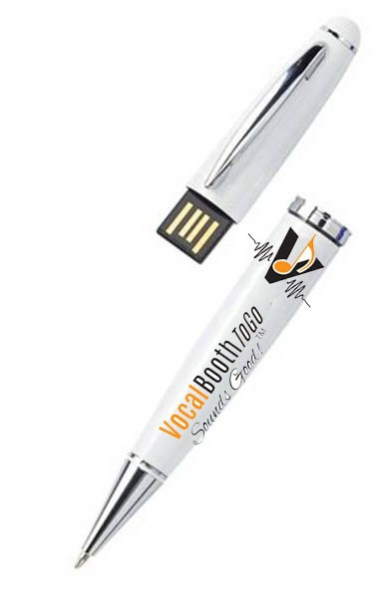 This VocalBoothToGo pen has 8 gigs of storage, beautifully crafted with our logo on it. You can draw with it and you can store in it. If you would like one, this 8G USB pen is free gift to our early supporters that complete their order before August 15! Hurry, this is for a limited time only! Flexible Ceiling Track Kit 2M is designed to quickly create a walk-in vocal booth or recording studio without loosing any of floor space. This track will allow you to create a recording space for one person. Perfect for voice over actors and musicians. Small apartment or professional studio, — “Vocal Booth on Tracks” is for you.